Spring delivers the sweetest of WNC’s farm fresh treats—strawberries! These bite size treasures are at their best in May. 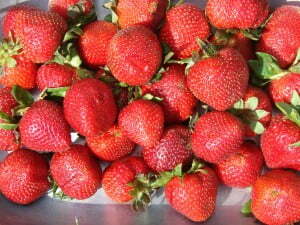 Look for strawberries in the school cafeteria this month or head out to a u-pick strawberry farm.